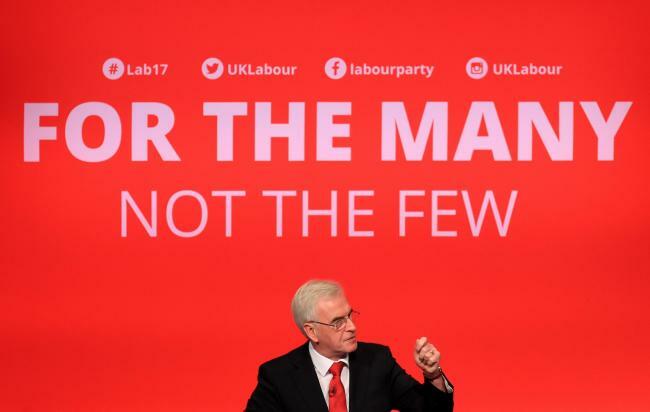 The UK Labour Party’s Shadow Chancellor John McDonnell has presented a robust six point plan to take on the Russian oligarchs. McDonnell has supported the Ukraine Solidarity Campaign in backing trade unions against the oligarchs, such as the Ukrainian miners struggle with Abramovich. In an important step after events in Salisbury McDonnell called on Labour MP’s not to appear on the Kremlin TV station ‘Russia Today’. We republish below the statement issued by John McDonnell’s office on the six point plan, the whole labour movement should endorse this position. The Shadow Chancellor has today called on Philip Hammond to introduce six measures, including the “Oligarch Levy”, to strengthen the UK’s hand in imposing effective sanctions on Russia and breaking up secretive offshore financial networks used by the oligarchs. The Offshore Company Property Levy, proposed in Labour’s manifesto at the General Election last year, would see a charge introduced against purchases of residential property by offshore trusts located in known tax havens, based on a blacklist of tax havens developed by HMRC. It is similar in principle and application to the 15 per cent levy recently introduced in Toronto on foreign property owners or that Singapore and Hong Kong have maintained for many years. However, this tax would be more tightly focused on specific forms of ownership associated with money laundering and tax avoidance. If introduced now, newly obtained figures suggest this could have a very direct impact on such properties owned by Russian oligarchs. Independent experts estimate this tax could raise up to £875m a year from Russian oligarch sources, given the estimates of “suspicious wealth” holdings in the UK. “We need to see less empty rhetoric from leading Tories competing for the leadership of their party, and more action from the top of government to strengthen any financial sanctions we impose on Russia. “If we want to really take the fight to the gangster politicians and Russian elites hiding their money in the UK, then we need serious measures like the ‘Oligarch Levy’, which will hit them where it hurts – in their wallets. “It’s time to call an end to the use of our financial system and property market as a hiding place for rich foreign oligarchs and their money men by implementing measures like full transparency for tax havens and our levy on secret offshore property purchases. “The Chancellor needs to introduce serious measures that would strengthen the hand of the authorities that want to impose penalties on those found to have been involved in the events of the past fortnight. By its nature, oligarch wealth is hard to trace. However, these estimates suggest that between one-fifth and one-quarter of offshore purchases of UK residential property are from Russian sources, implying a potential revenue from the Oligarch Levy of £700-875m annually. Sergei Magnitsky was a Russian tax accountant who died in jail in Russia after revealing details of a massive state-sponsored fraud. Numerous countries have since introduced ‘Magnitsky provisions’, enabling them to apply sanctions against those connected to the persecution of Magnitsky, often extended to other people responsible for gross violations of human rights. Labour has tabled amendments during the Committee Stage of the Sanctions and Anti-Money Laundering Bill calling for the introduction of a ‘Magnitsky clause’. This was opposed at the time by Tory MPs. Since 2016, the UK has had a “beneficial ownership” register, making transparent the ultimate beneficiaries of companies owned in the UK. However, secrecy jurisdictions and tax havens for which the UK is responsible, and which enjoy the benefits of the English legal system, have no such register. This makes them a haven for money launderers and criminal activity, as well as tax avoidance. Labour will ensure that Crown Dependencies and Overseas Territories also introduce full, transparent, publicly-accessible registers of beneficial owners. We will look particularly at trusts which transfer the residence of their trustees offshore, and those tax avoidance schemes involving trusts which are disclosed to the HMRC under the current law. “Politically Exposed Person” (PEP) enforcement is intended to provide additional scrutiny by financial institutions of those more likely to be involved in corrupt practices. At present, the definition applies to high-level government figures, their families, and their close associates. This risks allowing corrupt individuals and their wealth through the net. Labour will insist on tighter enforcement by financial institutions and look at expanding the definition to include a wider spread of “associates”. An Unexplained Wealth Order (UWO) is designed to confiscate the proceeds of crime by using civil powers instead of criminal powers. The power was introduced by section 1 of the Criminal Finances Act 2017. From 31 January 2018, relevant enforcement authorities will be able to apply to require a person to explain and account for the origins of their assets. Namely, Unexplained Wealth Orders will be used where the assets owned by the person are inconsistent with their income level. Labour will bring forward their use by removing secrecy from company and property registrations, and ensure the National Criminal Agency is properly resourced. We will provide an extra 10,000 police. Over 40% of the beneficial owners of Scottish Limited Partnerships (SLPs) are either a national of a former-Soviet country or a company incorporated there. This compares to just 0.1% of all Limited Companies (by far the most widely used UK company type), and provides clear evidence that some types of companies are heavily marketed to citizens of former Soviet countries. Nearly one in 10 UK companies – 350,000 – still haven’t named a person of significant control with the UK company register. 4 thousand beneficial owners are listed under the age of 2, including one who has yet to be born. Failure to comply with the UK company registers disclosure requirements carries criminal penalties: Failure to provide information is also a criminal offence punishable with 2 years’ imprisonment or a fine or both. Anyone who provides false information on PSC/RLE interests commits a criminal offence, punishable with up to 2 years’ imprisonment. To date, no such criminal penalties have been levied.